Supreme Court collegium headed by Chief Justice of India H.L. Dattu has recommended the elevation of Chief Justice of Orissa High Court Amitava Roy as a Judge of the Apex Court. The recommendation was sent to the Law Ministry last week. According to reports, the others involved in the chase were Chief Justices of Madras, Madhya Pradesh, Bombay, Calcutta and Delhi High Courts. However, only one name was recommended in absence of consensus. Two names were objected to in the light of adequate representation from their region in the Supreme Court. A third name was objected to due to certain representations from a few lawyers. Justice Amitava was born in 1953 in Kolkata and completed his LLB from Dibrugarh University in 1976 before practicing at district courts in Dibrugarh and Tinsukia. He later shifted to Guwahati, where he practiced in Gauhati High Court and the Central Administrative Tribunal (CAT). He was elevated as Judge of the Gauhati High Court in 2002 and was appointed as Chief Justice of Rajasthan High Court in January 2013. He was appointed as the Chief Justice of Orissa High Court last July after its former chief justice Adarsh Kumar Goel was elevated to the Supreme Court. The Supreme Court had three vacancies on its approved strength of 31 Judges, as on February 1. Another vacancy will come up in March due to the retirement of Justice S.J. Mukhopadhaya. Further, seven Additional Judges have been appointed to the Allahabad High Court. Among the newly-sworn in Judges, Justices Mukhtar Ahmed and Amar Singh Chauhan were serving as District Judges at Kanpur and Meerut respectively until their elevation to the High Court. Justice Shamsher Bahadur Singh was Principal Secretary, Legislative and Parliamentary Affairs while Justice Vinod Mishra was District Judge of Pilibhit. The age of superannuation in district courts is 60 while that in High Court is 62. In addition, Justice Raghavendra Kumar was Member-Secretary of the State Legal Services Authority while Pratyush Kumar had been serving as the Registrar General of the High Court. There has been a lot of speculation regarding elevation during the past few months. Several names have come forward. According to reports, the collegium had paved way for appointment of the Chief Justice of Delhi High Court, Justice G. Rohini and Madras High Court, Justice Sanjay Kishan Kaul to be elevated to the Supreme Court. 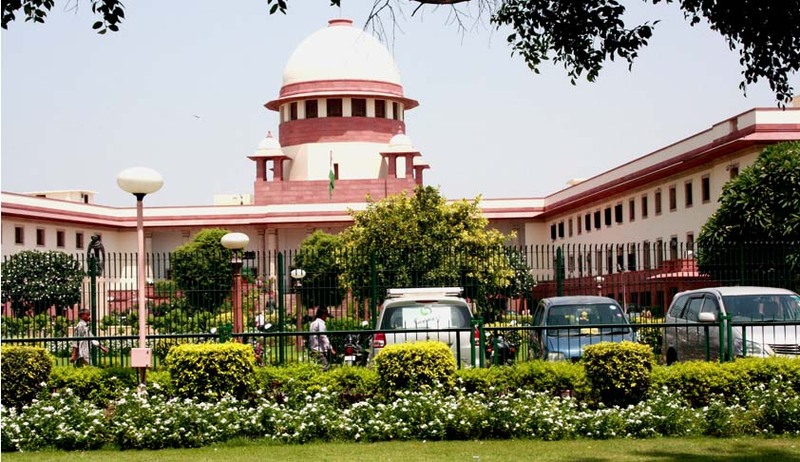 Putting at the rest the speculations regarding appointments by the collegium until the National Judicial Appointments Commissions is put in place; Union Law Minister Sadananda Gowda had said that the judicial appointments are not put on hold until the mechanism is structured. National Judicial Appointments Commission Act, 2014 has been challenged by the Supreme Court Advocates on Record Association. It has stated that the Parliament does not have the legislative competence to enact the same and that it is violative of Art. 124(2) and 217 (1) of the Constitution of India.